30. Organize the photos on my old laptop. It’s about to die and I don’t want my pictures to die with it. Check out this gem, you guys. Ranae & me, circa 2007. 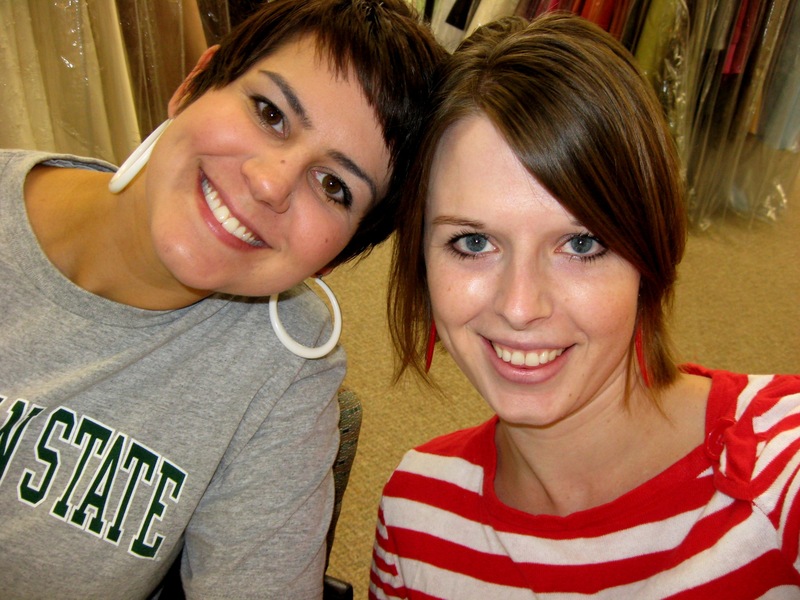 We were at a bridal shop, helping a friend find a wedding dress. Clearly a football Saturday, as we’re rocking team colors from our favorite teams. Short hair, plastic earrings! and a non-iphone selfie. Ah, the good old days. I got all the photos from my old laptop moved to an external hard drive and organized by month and year. I had originally thought about categorizing them further, but EXHAUSTION. I’m calling it good. I love old pictures and I’m glad I got life from 2006-2010 saved before the laptop dies. The end. This entry was posted in 33 before 33 on 11.14.13 by awastell.